Htein Lin and Soe Yu Nwe will be featured in the upcoming Dhaka Art Summit 2018 as part of Bearing Points, a new initiative curated by Diana Campbell Betancourt. The first Bearing Points considers the role of exile in shaping regional identity through large-scale thematic presentations from artists, orienting viewers towards lesser explored transcultural histories of the region. Read more about their involvement in the upcoming Dhaka Art Summit here. 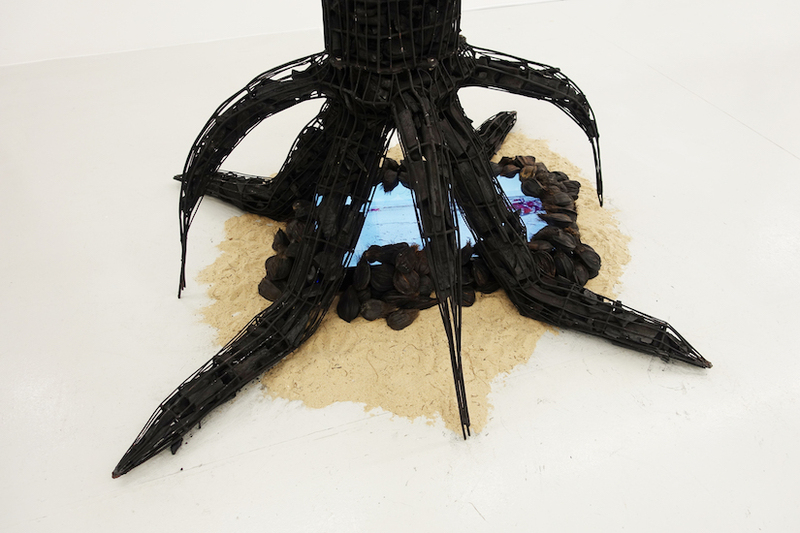 Pictured here is Htein Lin’s Mangrave I, 2016, iron, charcoal, sand, mangrove seeds, video screen, dimensions variable.